In loving memory of Pocus. 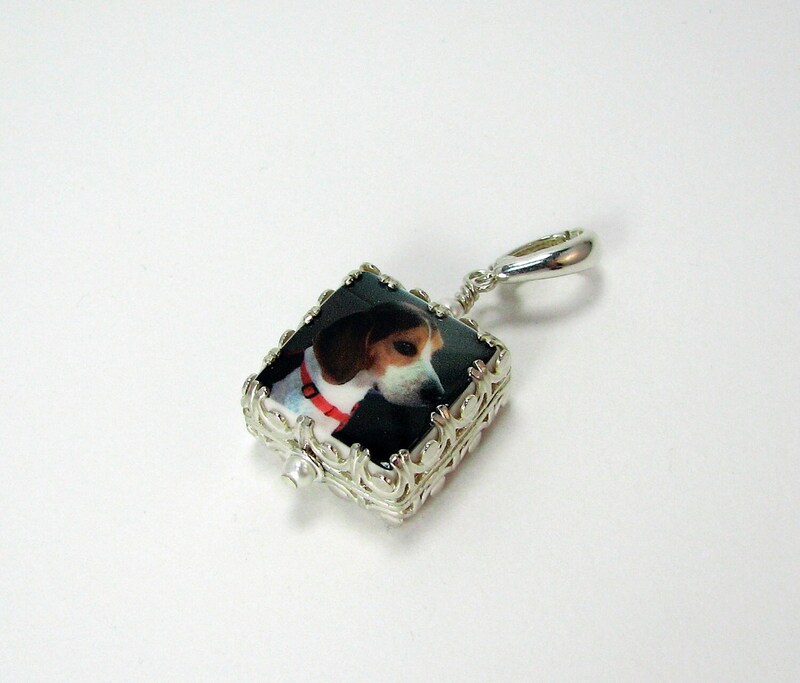 I was flooded with memories of my own Beagles while making this sweet pendant. It was such a pleasure to create. 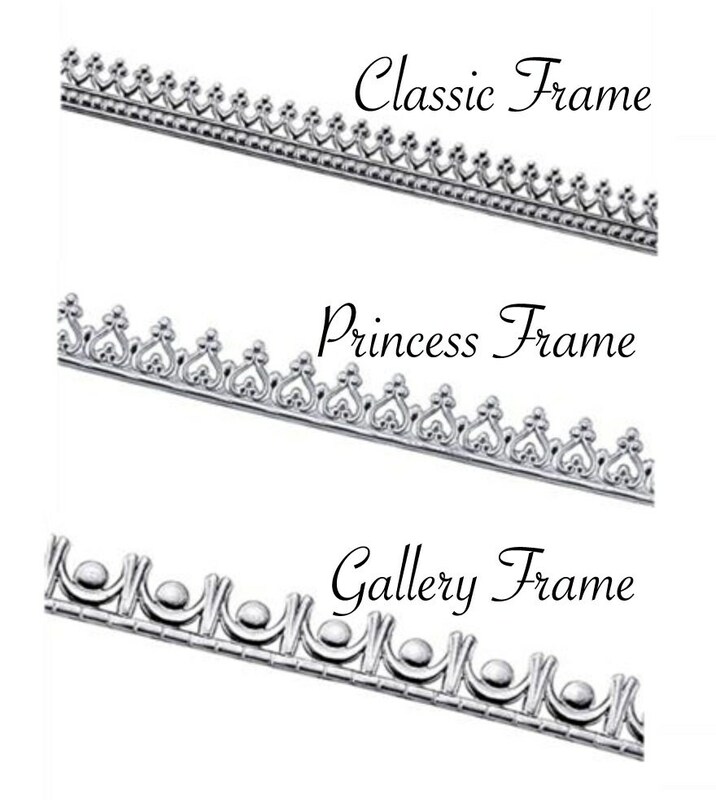 Choose your favorite style frame from the photo above. 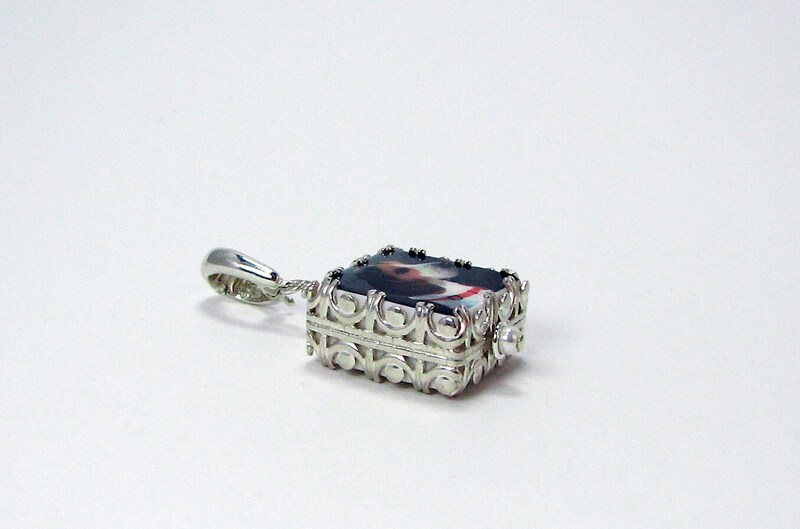 This XSM charm measures .65" X .65" and it is designed to display two photos, or request a custom designed text image for the back as shown above. 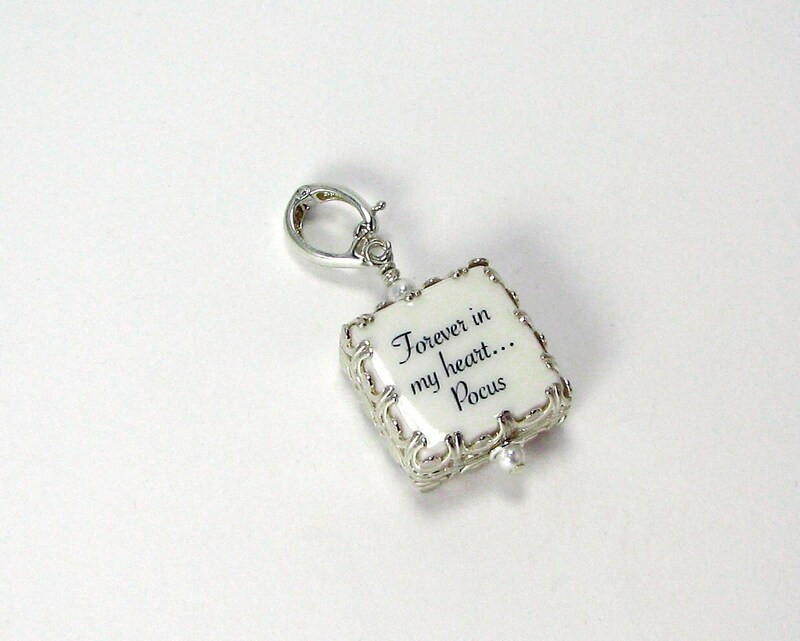 This charm makes a beautiful memorial for a bridal bouquet as well. It can be added to a necklace and worn as a pendant after your big day, or add it to your charm bracelet as a new conversation piece. 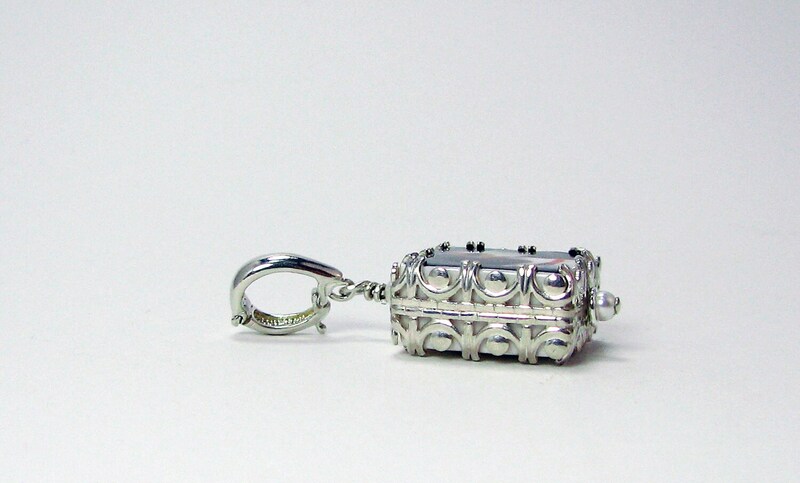 Also available in 14K Gold; simply request a quote.